Berry Plastics Introduces Patent Pending VersaliteTM Technology through Launch of Fully Recyclable to-go Cup with Thermal Management Capabilities | Berry Global Group, Inc.
EVANSVILLE, Ind.--(BUSINESS WIRE)--Sep. 23, 2013-- Berry Plastics Group, Inc. (NYSE: BERY) today proudly introduces VersaliteTM, a revolutionary fully-recyclable thermal management packaging solution. The Company is launching the #5 plastic polypropylene-based Versalite technology in the form of hot and cold to-go cups. 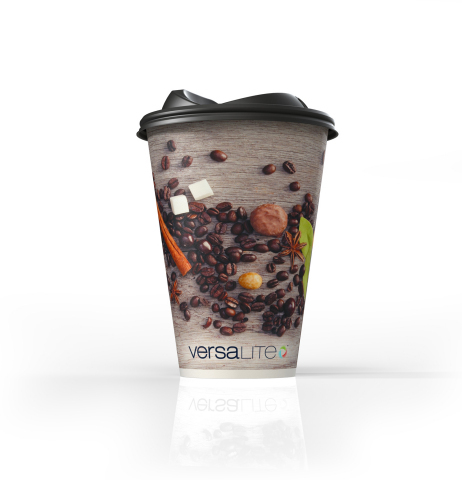 As a to-go cup, Versalite delivers excellent performance, a positive consumer experience, and environmental advantages over many competing to-go cups. Berry Plastics is dedicated to creating real solutions for its customers and the industries it serves. The Company conducted in-depth consumer and market research and integrated this insight into the Versalite cup.